The iPhone Siri does not often reply you on what you said. Yes, it is true. Sometimes, Siri becomes deaf and does not hear your voice while talking. So how you can fix Siri not working on your iPhone? In the following article, we are going to tell you how to resolve the Siri problem and get it back to its normal working condition. Siri- what does it mean? One of the great features on an iPhone is the Siri, the voice activation function which initially allowed users to send text messages, call people, and schedule meetings using their voice. Now as the time and need of the user have changed, Apple seems to have modified its technology to suit the users’ interest in relation to Siri. It is no longer just about giving a voice command, movie schedules or making calls, it is much more now. Siri has evolved into a voice assistant that is capable of understanding your commands and acting accordingly. It can easily help you figure out the apps that are appropriate in accordance with your requests and then perform the action on your behalf. No doubt, it makes it easier now for you to perform day-to-day activities and ease the burden off your shoulders. Therefore, it can cause some inconvenience if you find that there is some problem with Siri. For example, Siri does not talk back when you say something. Well, don’t worry! There are various ways to fix the Siri problems. Here are the 10 best and simplest ways you can try to get the Siri back in action. · You can clean your microphone hole with a soft toothbrush. 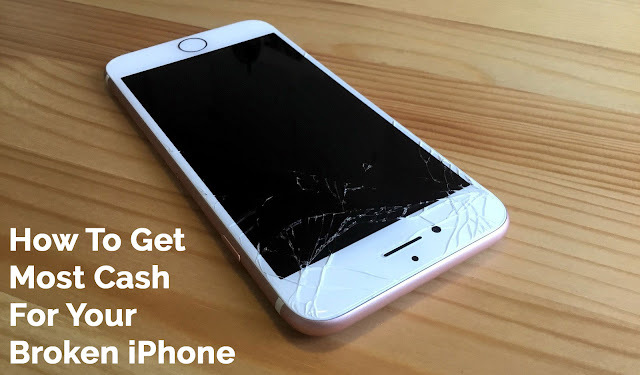 · You can remove your iPhone case. · You can use headphones. Try out this simple trick. It has been worked for many who experienced issues with Siri on their iPhone. All you need to do is to tap Settings > General > Siri and then turn it off. Wait for a few seconds and then turn it back on. Now start using Siri, hopefully, it will work accurately. Is Siri not working on your iPhone? Navigate to Settings > General > Siri and you will find the two option there- which are Siri Voice and language. Tap on these options one by one and change them. It will restore Siri to its normal working state. Did you know if the Low Power mode is turned on then Siri does not work? Yes, it’s true. So, turn it off when you need to use Siri. To disable this option, go to Settings > Battery > Low Power Mode. Tap on it to turn off. You can try resetting network settings to fix the Siri problem. As you know that to operate Siri on your iPhone, you need an internet connection. You can either use Wi-Fi or cellular data. However, if there is any network connectivity issue, you will probably find that Siri is not working. To fix this issue, reset the iPhone network by tapping the Settings > General > Reset > Reset network settings. If you are unable to recognise Siri voice on your iPhone, it might be because of that iPhone dictation is not working probably. So you can turn the dictation feature off and turn it back on to make Siri re-work. To do that, go to Settings > General > Keyboard > Dictation. If it is already activated, turn it off and then turn it on again. No doubt a hard reset can fix many general issues including this one. To perform a hard reset, press and hold the Home button and the sleep/wake button at the same time and keep holding the buttons until you see the Apple logo on the screen. Then, let go the buttons off; it will restart your iPhone. 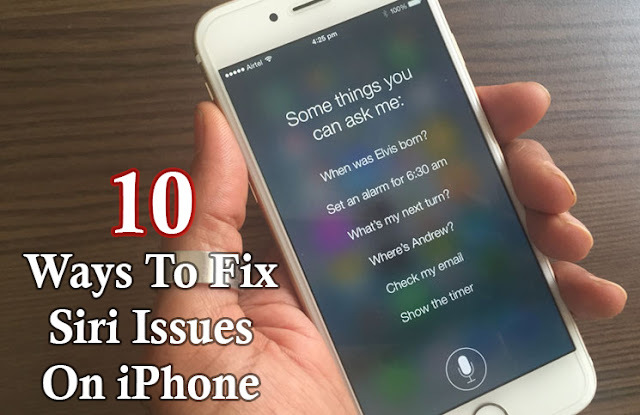 If you are still dealing with Siri problem then make sure that your iPhone’s system software is updated to the latest version. Updating iOS system will solve some unknown Siri issues. To Check iOS updates on your iPhone, Open Settings App > General > Software Update. If any update is available, tap download and install it. If the Siri problem persists, you can restore your iPhone to factory settings to fix it. Keep in mind that in the factory reset process, all settings and content from your iPhone will be removed, therefore, you should make a backup before doing this. To reset your iPhone to factory settings, Go to Settings > General > Reset > Reset > Erase All Content and Settings > enter your passcodes > tap Erase iPhone. Then, you can restore from iTunes/iCloud backup to set up your Apple device. So you have tried all above tricks but you did not succeed to fix the Siri issue on your iPhone. There might be some serious issue with your iPhone. If you don’t want to spend money on repairing then it’s better to sell it. 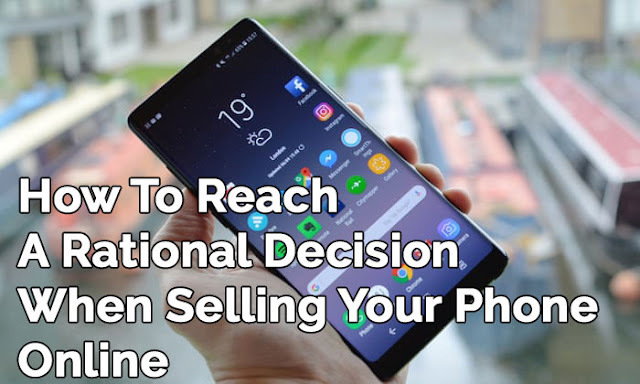 Selling your faulty iPhone helps you get rid of your old iPhone and earn money that you can use to buy a new one. Look for a trustworthy mobile phone recycling comparison site and Sell iPhone 7 at a great price!